The Jukes Group completed a large EPCM project of a SPM buoy system in St. Eustatius in the Netherland Antilles for NuStar Energy. The project consisted of designing and installing two new 36-inch diameter 6,000ft long pipelines, a new 180 Tons subsea PLEM, tie-in spools and a control umbilical system for remote subsea valve control. The Jukes Group performed the pre-FEED study, FEED, Detailed Engineering, and Procurement & Installation oversight for the project. 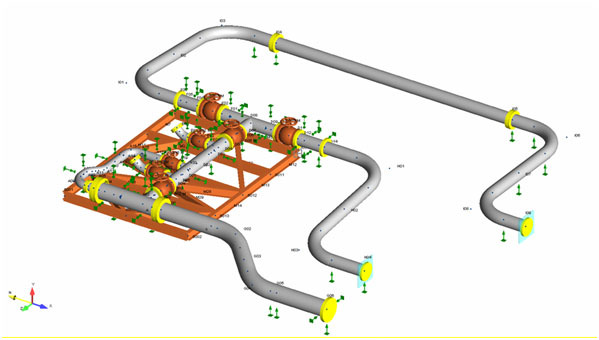 Procurement support involved procuring the pipe, the PLEM & spool material, the umbilical, and the Onshore Valve Control Skid. During the construction and installation phase The Jukes Group had Engineers mobilized to the island and were responsible for offshore installation during the execution phase. This also included the pre-commissioning of the pipeline and PLEM system. 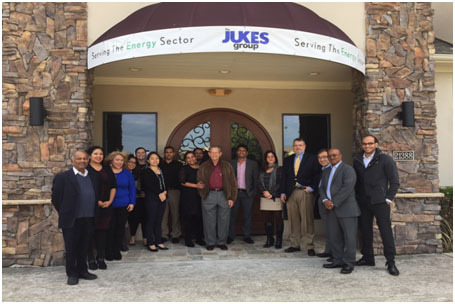 The Jukes Group had over 25 Engineers that included pipeline engineers, riser engineers, flow assurance engineers, designers, and project and document controllers. The team prepared field drawings and reviewed calculations of the existing 48-inch flowline. The Jukes Group worked on the 5 phases of the Project for over one year, and it was successfully completed in 2018. The success of the project was due to a strong team of dedicated, capable and experienced Engineers. 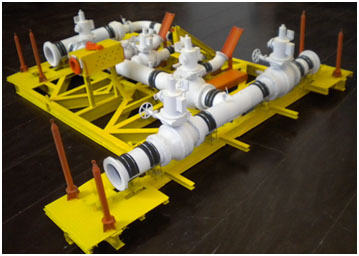 Pipeline end manifold (PLEM)- connects both 36-inch and 48-inch pipelines with branch 24-inch pipe that connects to hoses to a SPM. 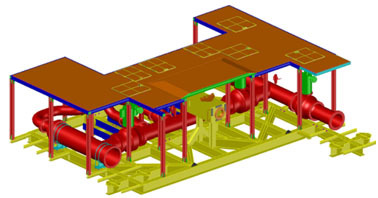 Finite Element Analysis was undertaken of the subsea PLEM, Piping, and Pipeline spools to determine the stress within the structure.